Everything Changes – The Guide to Young Adult Cancer » What can patients do about the levoxyl recall? What can patients do about the levoxyl recall? King Pharmaceuticals manufactured levoxyl in their Bristol, TN plant until 2010 when they were purchased by Pfizer for $3.6 billion. In August 2011, after conducting studies of its “Logistics and Plant Network Strategies”, Pfizer Global Supply announced it would close their Bristol plant by 2014, relocating elsewhere the production of levoxyl, among other drugs. It is simply more profitable for the company to abandon levoxyl production at the Bristol plant and make the drug at another location. On May 29, 2013, the Baltimore Business Journal reported on the acquisition of the Bristol plant by UPM, a Baltimore based company. UPM will continue to manufacture some of Pfizer’s drugs at that plant for two more years, but Pfizer has clearly stated that levoxyl will be manufactured elsewhere sometime in 2014. The FDA recommends a company take a series of actions in response to voluntary recalls, such as creating a plan for remedying the situation and reporting back to the FDA every two to four weeks with updates. However, in recalls where no adverse health consequences exist, these actions are merely suggestions from the FDA and not enforceable regulations. At the end of April, just weeks after the initial recall, Pfizer announced a second voluntary recall when three batches of levoxyl, made using a previous formulation, showed a potency level slightly below Pfizer’s standards. Upon this second recall, Pfizer notified doctors that levoxyl production would cease until an undesignated date in 2014. Because the variation was based on Pfizer’s own standards and not the FDA’s, government oversite does not play a role in this recall either. Pfizer has no monetary incentive to rapidly resume production of levoxyl, nor does the FDA require them to do so. 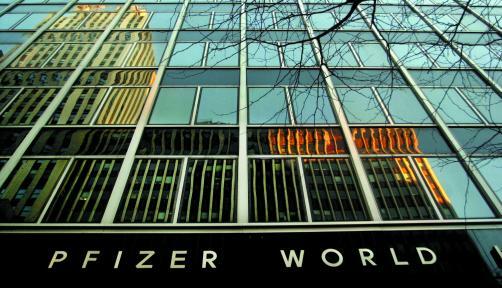 Pfizer’s obligation is to company shareholders, not to patients’ demands. This is legal and a perfect example of why a healthcare system based on the free market economy and weak government regulations does not benefit patients. Do you agree or disagree that patient pressure on Pfizer and the FDA will not expedite the production of levoxyl? Why? 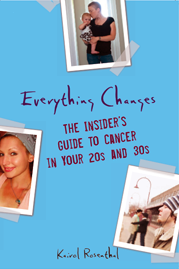 Read Everything Changes: The Insider’s Guide to Cancer in Your 20s and 30s to learn more about the US health system and its impact on your care. Kairol, you said what I have been thinking without actually saying it: the Levoxyl recall has more to do with Pfizer’s plan to shut down the King plant in Bristol than it does with an actual problem with the drug. In other words, it is a scam, and the FDA has turned a blind eye. HI Coutrney, I am glad I am not the only one whose suspicions were raised. I do not know though what power the FDA has to do about it. I am under the assumption that as a private corporation, Pfizer is allowed to make or not make their drugs for the reasons they see fit, including profit margin. I am not sure where the FDA could insert themselves in to this situation. But, if I am missing something, please let know. I am always eager to learn more about how the pharmaceutical industry operates and intersects with the government. I had no problems taking Levoxyl and now I’m taking Synthroid and I’m having stomach problems and headaches. I just don’t feel right. You need to understand that Levoxyl works for so many people and please don’t take it off the market. Desperately waiting for it to come back. I, too, have taken Levoxyl for more than 20 years. I have severe allergies to many medications – including Synthroid and I have a very difficult time with with generics. Phizer isn’t just dealing with their bottom line. They are adversely impacting patients’ lives. And make no mistake, the government will do nothing. Once again, money talks and we – the people – have no say. I too have taken levoxyl for several years with no side effects and now taking a different one I am having all sorts of problems. Loss of hair, stomache upset and joint pain I wish I could get my levoxyl back!! At one point in time Levoxyl was the generic and Synthroid’s standard was not consistant. Levoxyl is no longer the generic, but they have many loyal subscibers. That may change in 2014, after everyone adjusts to an alterative. I had allergic reactions to synthroid since it contains PVP or also called Cospovidone. It is an additive. Every thyroid medication contains this allergin. The drug companies know this too. In europe they are trying to ban this as an additive to soap and cosmetics. It is in the French Journal of Dermatology. I switched to Levoxyl name brand and all the allergic reaction went away. Generic Levoxyl also has PVP in it. I will now switch to Amour Beef throid medication an animal based thyroid medication. At least it does not have poisonous additives. It is interesting how the drug companies make so much money off of the side effects the additives they put in them create. It makes them more money. It is too bad now they will probably reformulate and add more things to it like PVP. I have done a mercury detox using Dr. Chi’s Metal flush over 3 months and was able to rid myself of the very hign anti-thyroid antibody levels now they are low. I have been on the generic Levoxyl for only 2.5 weeks now. I just had my TSH level drawn and, of course, it is elevated and I feel like a rung out dish rag. I hope I make it till next spring. If not, I am coming back to haunt Pfizer if I can find out where they make the new and improved Levoxyl. I bet my spirit will not be in the United States! I am very upset that they have recalled Levoxyl! This is ridiculous to say the least. I depend on this medication for my health and since I have started synthroid I feel awful! I get heart palpitations and my body aches all over. My thought is that when a medication works too well for you like Levoxyl, then there must be something wrong with it. Right? I’m sure it’s all about the money! I have been taking for 14 years with no problem. I am now taking Levothyroxine, I am having headaches. I am not looking forward to my TSH result. FDA should have the interest of the people instead of the Pharmaceutical Company. I am so thankful I found this chat site! I thought I was the only one having problems with synthroid. I was on levoxyl for almost 10 years and doing fine. Then after the recall they gave me the generic levoxyl and I went down hill fast. So they gave me synthroid and I have many of the systems you all have. Stomach issues, headaches, tough sleeping and foggy brain. I had my THS levels tested again and they were below 1.0. Therefore shouldn’t I have some energy? Very grateful I’m not alone. I will write to Pfizer and send them a link to this chat. They need to know how many of us are hurting. Let’s all keep on them. I had been on Levoxyl since 2009. Since the recall I have tried synthroid and put on 50 pounds, felt horrible, headaches, fatigue and all I could do was lay in the bed. I asked my Endo. to let my try levothyroxine. I have gotten much worse to the point I just want to throw them all away and give up. I started a petition with Pfizer but you can’t fight the big pharmaceutical companies or the government. I was told by a pharmacist they stopped Levoxyl because it didn’t make them enough money. They are now in the process of making billions from Lipitor. How is Lipitor supposed to help people with thyroid/cancer problems. Pfizer, lives depend on Levoxyl. Do something now. I am so sorry for all of the problems you have had. I think it is very telling that even your pharmacist said they stopped making it because it did not make them enough money. I too have concluded that there is not much we can do to get them to begin production again. I do believe that individuals can ban together to influence corporations and government, but not in this instance. Though they suspended production of levoxyl is causing pain and suffering for many, they nor the government are under obligation to produce it. So what now? It is just up to each of us to try to find coping techniques to slog through these side effects as best we can and to hopefully help each other out in the process. Hang in there! I know well just how hard this is. So glad to know that I am not the only one experiencing all of the side effects of Synthroid. I’ve been on Levoxyl since 1978 when I had my thyroid removed. Initially put on Synthroid but they could never control any of my levels with it. I am highly allergic to many meds especially to the fillers used in generics. Since the recall in April I have been hospitalized 3 times with severe itching, flushing, tongue swelling, blurred vision and digestive problems which actually put me in to A-FIB on 7/5. Pfizer should certainly be held accountable for the delay with reproduction of Levoxyl. They’ve had recalls before on other products and were able to reformulate and get the drugs back on the market rather quickly. Why not with Levoxyl, a drug that so many people NEED. According to all the latest articles on line it looks like 2014 before it will be back. Agree with many of you on here. Just switched to Synthroid (generic) about 3 weeks ago. I am already having body aches/joint pain, and am lethargic all the time. I actually almost fell asleep driving home the other night! Really wish they would bring my Levoxyl back!!! I feel like I don’t really have any other options. So happy to find this site and find out that I’m not the only one suffering from the loss of my levoxyl. Can’t sleep at night and have aches and pains and heart palpitations, am just praying that they start making the drug again. Right now I’m taking Synthroid and it has given me all these problems. I hate to think that this is what we are all faced with for the rest of our lives if they don’t start producing levoxyl again. Plan on making some phone calls to the Drs. office and Pfizer tomorrow. Thanks for this article and this blog. I have been on the generic since I last saw my endo in April, 2013 and my supply of levoxyl ran out. My TSH was 1 then. I had an annual physical with my regular GP about six weeks later and was suspicious I was starting to feel “off”, so she ran all the thyroid panels again, and my TSH had increased to 2. It’s been a month since then, and I am getting more and more lethargic and having heart palpitations. It took me 6 years to get stabilized after I had a thyroidectomy. Now I’m going through the same crap again and it will take forever to find something that works, if I even do. People who are not familiar with thyroid disease do not realize what a long-term trial-and-error process finding a treatment that even “sort of” works is to go through. I really feel for all the thyroid sufferers out there who have to go through this for no reason other than corporate greed. I called my Endocrinologist this morning and she made me feel like all my symptoms were in my head. I cancelled my appointment in October with her, threw away the meds I have and whatever happens, happens. I’m tired of being a prisoner in my home because I’ve gained so much weight people stare at me and I can’t find a Dr. that will listen to me. I wish everyone good luck and though I don’t know you personally you’ve all become friends. Love and Hugs. Hi, Glad that there are other people who are having similar issues. I do not know much about the companies and their legal rights. But I am suffering a lot with the recall on Levoxyl. I am on Levothyroxine, and have gained 10 pounds in 2 months. I have lot of muscle aches and joint pains. I am assuming its the new drug that is causing it. I wish they restore the drug as soon as possible. Same boat here…after years of having issues with generics and Synthroid, I discovered Levoxyl was the key. Now back on Synthroid and the headache, weight gain and numerous other reactions have started all over again. I called the Pfizer phone number 1-800-879-3477 and will call again. Maybe the more they hear it, the better chance we have. Even big businesses still have someone who makes the decisions. Unfortunately this one is about my health! Glad to know it’s not just me. I have taken Levoxyl for more years than I can remember. Now on Synthroid, I just feel so tired all the time no matter how much sleep I get. And the brain does feel foggier than usual too. I had lost 20 pounds after going vegan a few years ago, and finally bought some new shorts this summer, but now they feel like they are getting tighter again, belly fat coming back. And it may just be because it’s allergy season, but my allergies have been bad lately and I did see that there are things in Synthroid that I normally wouldn’t ingest being a vegan, so I don’t know if the Synthroid is causing my allergy issues. Oh My My My I have read each of your comments with my mind zipping both in Sympathy, a strong Affinity, and for the moment just want to cover one thing I did in desperation and what happened as a result. I am apparently One of the exceptions, the Llevoxyl I have been taking for years, all of a sudden introduced severe knee pain, it grew to be chronic, and I had X-Rays which said I was developing degenerative Osteo in both knees. Then there came a gimp and I tossed my Thyroid meds! Witin 2 Weeks, NO GIMP, Significantly lower pain near to none with no more Llevoxyl. Flash forward 6 months, irregular heart beats, probably 10 pounds extra so I went back on, beginning with my TSH previously 2 before I Quit, after 6 Months ( attention Lois) My TSH shot up 67! Back on Llevoxyl within 2 days my Knee pain came back with a fury, but this time in both knees. It is nearly imcompacitating, I had to put on a BetaBlocker to calm my erratic Pulse rates of 120- 160, but my Blood Pressure was fine. I eat like a Sparrow and even tried starving to get some weight off, we all know what that led to- Stalled Metabolism. Everyone else around has no weight issue. Now taking Llevoxyl completely off the Market~ All I have left is Prayers. What is Funny to Me is that Joe Public believes that Thyroid Patients are simply using their Diagnosis as an excuse to Feast, and that we don’t hold ourselves accountable for our weight issues, and then theres the actual Sadness that the Doctor’s would rather get Rich while we try to figure out how to actually have a productive and happy life again? So What Now People? I am not wanting to be thrown into Synthroid Jail! I am so glad that I find that I am not alone. I have been on Levoxyl for 15+ years. Switched to Synthroid in June of 2013. I have an appointment to have my levels checked in a couple of weeks. Since using Synthroid, I am tired all of the time, my joints ache and just don’t feel right! Wasn’t sure what was causing me to feel this way, but after reading all of the comments, I know it has to be the Synthroid. I too miss my Levoxyl, Got online to see if Pfizer recall would hopefully be comming to an end before sometime to be announced in 2014. But much too my dismay no such luck. No, I doubt that Pfizer will change anything. Pfizer certainly has me over a barrel, I will certainly be looking forward to getting back on levoxyl when it comes available again. I am now on brand name synthroid and have had to experience increased fatigue, anxiety, headaches, bowel discomforts, etc. I have so far had to have blood drawn 3 times since being placed on synthroid and still my tsh remains low and i will return to have it checked again in 4 weeks. It has truely disrupted my health to have to chnage thyroid prepartions, I would not have minded taking stinky levoxyl if it was available. I only hope it will be available again! A few weeks ago I switched to Synthroid from the AWFUL generic I had been put on after taking Levoxyl for years. I have to say, I am one of the people who apparently do well on Synthroid. In fact, I actually feel better than I did on Levoxyl, so if you haven’t tried it, don’t be afraid to give it a shot — it might work well for you. But if you are having problems, you KNOW it’s the medication. Good luck to everyone. This is a terrible situation. I am also taking Synthoid now. I was taking 2 different doses of Levoxyl with no problems for 14plus years. Now I am experienceing extreme all over body itching, severe joint pain and ache all over. I am not sleeping well either. Thank God I found this site thought I was going crazy. Its only been 2 1/2 months that I have been on Synthoid I sure hope I can make it until Spring of 2014 for Levoxyl to be available. Scary I have no thyriod any more so I am just going to have to wait and see. Thanks for info. I am on synthroid since levoxyl was recalled, and Iam also suffering of hair loss, general pain, and stomach problems. It is a sad reality that our health is secondary for the manufacturers of levoxyl drug; first is their monetary benefit. I hope they reconsider such attitude. I took Levoxyl for several years…NOW i take Lthyroxine I feel itchy I am irritable..I have a rash on my thigh. (wich is being tested as I write this for allergies via biopsy.) I am anxious.. and do not sleep well. This is all since Levoxyl was recalled and I was forced to take thyroxine since April of this year (2013) I guess we will ALL have to hang in there untill Levoxyl makes its comeback ! GOOD LUCK EVERYONE! I, too, thought I was alone in this frustrating battle of medications. I do not truly feel better that others have to suffer in the same ways that I am, especially because of a big company that has control. It helps to know I am not alone. Plus to have a better understanding of why I am feeling the way I have been. I want to go back to feeling normal again and I have that feeling when I was on levoxyl! I don’t know what to do to help change things but I am willing to try calling and writing. I need to get back to living and I know that not having levoxyl will not get me there! I started Levoxyl in 1985, and it worked great. At one point, I was given synthroid instead, because my doctor had forgotten to put the “brand only” note on my Rx. It was a nightmare. I had headaches, insomnia, and swelling of the tongue. My doctor said thyroid medication is different from most medications in that patients do best if kept on the brand they were started on. It is switching that causes most of the problems. So PHIZER should know that they are causing thousands of people to have debilitating side effects so that they can improve their bottom line! Why don’t they just put Levoxyl back on the market and charge a little more for it if that is the issue!!! P L E A S E PHIZER help us!!!!!! I’ve been on Levoxyl for about 10 years with no problems .75. I don’t respond to Levothyroxine so tried Synthroid when they pulled Levoxyl. After about 6 months I have maybe half the hair I used to, stomach, fog and weight issues. Working out everyday and eating right with no results other than a small reduction in body fat percent. Had my levels drawn and TSHs was 2.43 and T4 free 0.93. My Doc said I fall in the ” Normal” but, he would let me try Armour. Put me on 1grain (60mg). It’s only been a week so I’m not sure about it yet. Glad I’m not alone. Any input would be appreciated. I’m so frustrated and scared. I have a bladder disease and cannot tolerate anything but the formulation of the white Levoxyl 50. Since it’s removal from the market I have tried every synthetic and natural version along with every compounded option the pharmacist could dream up. They cause me terrible bladder pain, urgency, and frequency which gets worse with each day I take it. I couldn’t get balanced and was going from heart pulps to total brain fog and blurred vision. So I went off about 60 days ago and my levels are already way off. I can’t sleep, never feel I get enough sleep even with pills, am exhausted all the time. At this point the weight gain while on Weight Watchers is the least of my worries. All I can do is keep hoping they don’t announce total discontinuation and that if they do bring it back that they haven’t changed the formulation. I just don’t know what we are supposed to do. I can’t live like this but putting my bladder into a constant flare is another health crisis I can’t consider. Sorry we are alli n this but I am grateful for a place to share. I have written The company repeatedly but as you know, no response. I feel the same way. Awful on generic levoxyl. So much better on white .50of levoxyl. Where can we get Levoxyl? Thanks for everyone’s comments! It is good to know these symptoms and problems are shared by others, although, I wish no one had to go through these issues! We are here to validate each other! I used Levoxyl since my middle child was born almost 18 years ago and my thyroid was damaged. The dose is 125mg for 18yrs. I never had a problem. On a few occasions, they filled my script with the generic without telling me, Levothyroxine and my body reacted adversely. Within a few months of changing meds, I was forced to deal with panic attacks, depression, anxiety, heart palpatiations, headaches and achiness,my hair is still falling out way too much. I now have to see a therapist. My primary says the thyroid is “in range”, so I guess that this all happened coincidently at the same time my meds switched? After being on a slightly lower dose of Synthroid .112 mg, my thyroid levels crashed, even though medicated. I have never had depression before, but, I have lost interest in almost everything and used to be a avid athlete. Most days I cry at least several times a day. Please bring back Levoxyl, it works for all of us. It doesn’t matter to me much the reasons, but, generic and name brand Synthroid don’t work a lick. I switched to Synthroid from Levoxyl nine months ago. My thyroid was removed due to multifocal papillary thyroid cancer in 2007. My TSH is more stable since changing to Synthroid, and I have no side effects whatsoever. Cost is more, but I make it up in reduced need for testing. I switched proactively when I heard of impending Levoxyl recall, and went into it with a positive attitude. I believe the mind has a huge effect on the body, at least for me. After 1 year on Levoxyl I had no side effects and had stopped gaining weight immediately upon starting it (was gaining a pound per week prior to starting it). Switched to Synthroid in May and have now gained 12 pounds without increasing my eating and my levels are testing okay so my dose cannot be increased. VERY UNHAPPY with Synthroid and cannot wait for Levoxyl to come back! I am glad I accidentally logged into this site. After being diagnosed with thyroid ca I wad placed ok Synthroid, the higher the dose I get, the worse I feel. Severe itching hives, tongue swelling. I was diagnosed with idiopathic allergy. So glad I was proactive and levoxyl wworked magic for me. Now, three months after switching to levothyroxine, I am having severe itching again, other day has to bombard myself with benadryl because my throat started closing on me, gained almost 10 lbs. Depressed with severe bone pains. My phydician makes me feel I am over reacting, I guess I was not. Thank you gor sharing all your worries, now I know I am not going crazy. Thank you everyone for your comments. This site has made me feel better, I am on synthroid .137 mg since levoxyl was recalled after taking levoxyl for 15years after thyroid surgery for cancer. I have been having a lot of joint pain and never attributed it to the synthroid so I had xrays of my hands taken today, was told I have mild arthritis. I am also getting forgetful at times which is not normal for me, so now I know I am not the only one. Check out the page save levoxyl on Facebook. We need to get the word out and perhaps get the media involved. I always renewed my levoxyl early, so I have been able to use it for quite a while after the recall. I now only have about 20 pills left and I’ve been slowly weaning myself to the generic by taking 3 days of levoxyl and 4 days of the generic. I’ve been doing this for about 6 weeks now and noticed my costochrondritis is back , I’m gaining weight, and my knees are bothering me. I need my levoxyl back. I am also on cytomel, but apparently the levoxyl brand name is just as important for me. I have taken Levoxyl for many years and had no bad effects from the drug. In fact, it has been wonderful for me! My doctor switched me to another drug and I did not realize that I was allergic to it until about 3 months and 3 doctors and a dermatologist (plus my own google search), found the problem. I had hives all over my body, and thought I was going to go insane. We tried everything, and they just told me that it was my nerves. Well thank God I did not listen to any of them, and I had the doctor do a biopsy on one of the hives, only to find out that I was allergic to the next medication. BOY WAS I MAD. I am now on Synthroid, and not allergic, but do not feel well. Tired all the time and very depressed. I do not like anything, but Levoxil. Please, if you need to make more money, then just charge it to those of us who will pay for it. JUST SAVE OUR LIVES! Dr. put me on synthroid and I am having bad heart palpations and anxiety fogginess and irritable, very tired. If a person still has the thyroid can we get of med? I am doing doing well on synthroid at all!!!! Good. Luck everyone and God Bless and protect us all. I will call that eight hundred number. I have been on Levoxyl now for 6 years since switching from the generic Levothyroxine, which made me not feel good. Levoxyl made me feel like my old self since 2006, when I had to have my thyroid gland killed. Now the recall and I am on Synthroid now. I feel miserable once again. Why is it that, just when you finally find something that makes you feel good, something comes up, like the recall and now I am at square #1 again, back to feeling like, not myself once again. I just pray, levoxyl comes back. This is fantastic news. Thanks for posting here! Levoxyl is officially back on the market in March. I put a link on my page as well for a free 30 day supply (I believe it may be on the levoxyl site as well now). Please note, as I am a healthcare practitioner, even if you used to be great on levoxyl as you have been off of it for a while now, it may take a few months to reset AND I haven’t actually seen the pills yet to ensure they are exactly the same as before so trust your body and talk to your doctor if you aren’t feeling well when you switch back! Best of luck and happy, healthy healing! I an back on my regular dose of Levoxyl and starting to feel like myself for the first time in almost a year. We should pass a law that will make it harder for the drug companies to do this in the future It’s been hugely difficult for me, and it has had a major impact on my health. I think we should get at least a three month notice before they pull the rug out from under us in the future! I have been taking Levoxyl for well over 10 years. When I went to renew my prescription by mail they sent me a generic, without noticing I took it and my Thyroid is so messed up. My Doctor even asked me if I was taking my medicine, my lab work showed that I was taking nothing. when in fact I was.He put me on Synthroid and now I cant sleep and have horrible itching problems. Please God bring back Levoxyl we all need you right now. Received my Levoxyl yesterday at Walgreens. All of a sudden, with today’s levothyroxine refill (Friday, 9/5/14) (100 mcg) 90 pills, comes a COLOR CHANGE – from typical Grey(-ish),(Walgreen’s), to WHITE. I am leery of sudden changes but my Pharmacist, God Bless him, tells me to always keep him informed of sudden changes in the appearance, odor, or any other difference, in any of our medications. I will do that today. Meanwhile – Anyone else had this change in their pill color recently? My wife takes levothyroxine also (150 mcg, and hers is still Grey. Why is mine, White? Anyone? Thank you, one and all! If you are taking a generic, you never know who the manufacturer is or even what country it’s being made in. Quality can be a significant issue as well. There can be changes in color, shape, size, etc., but more importantly, in the generic fillers and in the quality of the ratio of thyroid med to filler, which is why it’s always been dangerous to take a thyroid generic. Expect differences in pill appearance and in how well it regulates your thyroid. Generics are not well regulated and the same prescription can vary from manufacturer to manufacturer by quite a bit. I have had bad problems with generic thyroid and refuse to take it. I am sorry to hear about the sudden change in the appearance of your meds. It must be very disconcerting. I am glad you have such a great pharmacist who takes seriously these issues. You may want to look on the bottle label and see who the manufacturer is and if it has changed since your last prescription was filled. My thyroid cancer doctor recommends I always look at the manufacturer each time I get a new prescription. There can be differences between manufacturers and these differences can certainly have an impact on how individuals process and react the medication. Back on Levoxyl after the recall. Having significant hairless and joint swelling. Is anyone else having problems with their Levoxyl? Sorry, Carol, after levoxyl disappeared, I proceeded to get screwed up by three months of generic and then switched to synthroid. I was fearing, however, that I would hear about something like what you have experienced. My paranoid self truly believes that there’s a drive to force us all to take generics behind all this, so I expected people to have problems with levoxyl when it came back. For one thing, I’m sure the fillers are different. See if you can found out what those are. You may be allergic to something that wasn’t there with the old levoxyl! I was following the Levoxyl thread and kind of missed it after it stopped in April. Glad to see it up again. I’m back on the new Levoxyl and it’s still challenging getting the right dose. I used to take 112 of the old Levoxyl. I’ve had to cut back the new Levoxyl dose to 100 and am getting used to this dose. The new Levoxyl seems so much stronger to me than the old. Don’t know if it’s just me or if others are experiencing the same.